I was recently perusing Uniqlo's stock in search of the best Heattech socks (wildly exciting, I know). In doing so, I came across an item that stopped me in my tracks for a number of reasons. That item is the brand's Fluffy Yarn Fleece Full-Zip Jacket. It comes in 12 great colors (for the record, I want them all), and it has a five-star rating with 90 reviews. Not only that, but it has a slightly fitted, slightly slouchy fit that would look perfect with anything from skinny jeans to prairie dresses and tights. In case you haven't heard, fleece jackets and pullovers are a major winter trend. I've seen cool new options from a number of brands, from Everlane to Sandy Liang, but none for as little as $30. What was once your dad's favorite layering piece is now a fashion-girl fall/winter must-have, which you'll want to wear well into 2019. 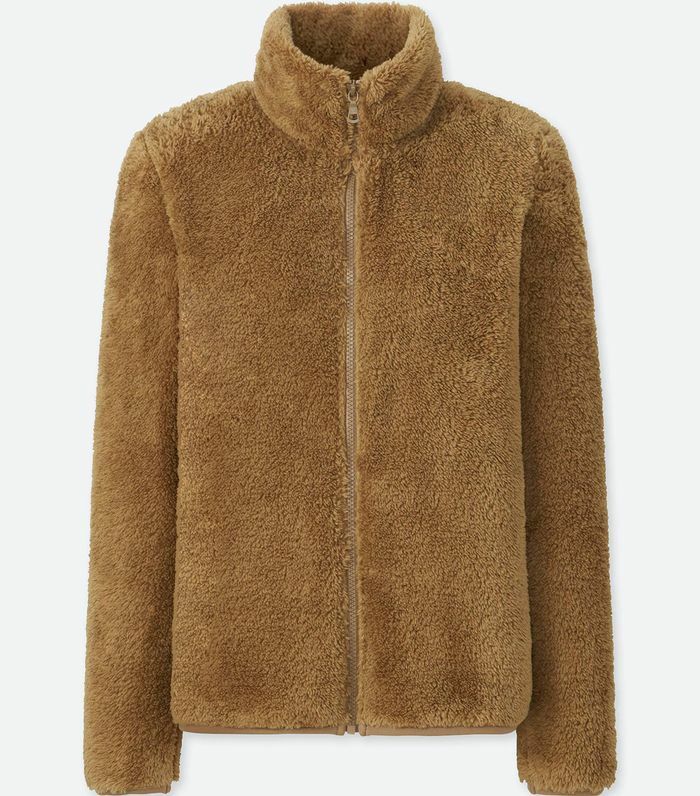 With that, keep scrolling to shop my favorite color options of the most on-trend item on Uniqlo, as well as a few other stylish fleece pieces to consider.